A fitting and emotional symapthy letter tribute. 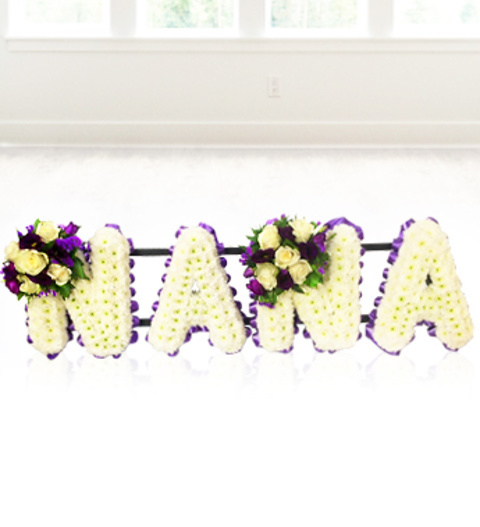 Loose based letters on stand, including Orchids, Roses, Gerberas, Chrysanthemums and complimentary ribbon edging. We can cater for any name or word. For more specific requirements call our specialist design team on 0844 310 5555 who will be happy help.